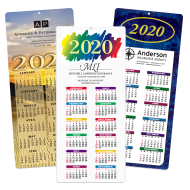 Imprinted promotional 2020 calendars will advertise your brand and logo for the next 12 months. For decades, this time-proven marketing item has played an essential role in helping companies accomplish their promotional goals and generate referrals, one whole year at a time. 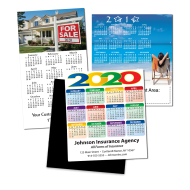 Choose from a variety of promo logo calendars for any business style and budget. 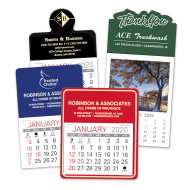 From imprinted wall calendars to personalized desk calendars – we have you covered. 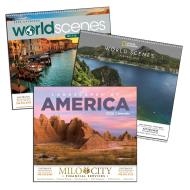 Start enjoying a full year of promotional exposure with this time-proven marketing tool. 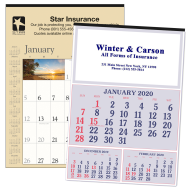 Promotional calendars with logo have been around for decades. 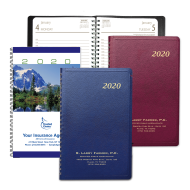 And yet, even with the proliferation of computers, smartphones, and an array of technological gadgets with built-in calendar functions, advertising calendar products remain one of the top-selling segments of promotional products, year after year. 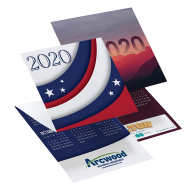 Why should your company use promotional calendars for 2020? 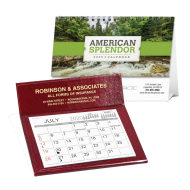 Studies show that people appreciate receiving a promotional calendar. They use them, and most importantly, they buy the products and services of the agency that gave the calendar to them. This is the major reason why using promotional calendars for business purposes makes so much sense.